Barbering and cosmetology have been longstanding and profitable professions a very long time. People enjoy looking good, and they trust the styling advice and expertise of licensed cosmetologists and barbers. Why not be just that? 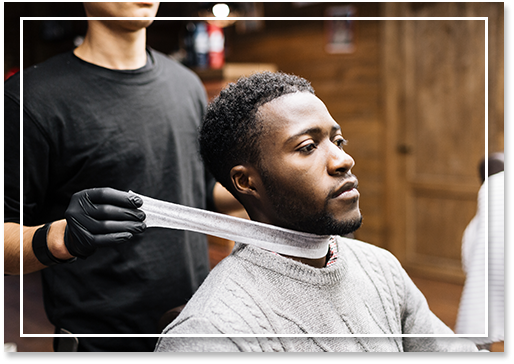 If you are creative and you enjoy working with people, cutting hair, and giving your customers neat, razor-sharp linings; then this is the perfect opportunity for you to enroll in the classes of Lil Lou’s Beauty and Barber College LLC. One of the most important aspects of being successful is making a living while also doing what you love. Whether you are a graduate fresh out of high school or an aspiring beauty student, you are welcome to join our barbering and styling classes. We are a licensed educational facility, so you can rest easy that you will be trained only by professionals. Do you find yourself interested in the barbering, hairstyling, or cosmetology industry? Awaken your inner stylist! Enroll now in the classes offered at Lil Lou’s Beauty and Barber College LLC. We use modern techniques and proficient methods to give every student the unique opportunity of receiving instruction from nationally awarded staff members as well as the chance to work alongside them. For more questions about our styling programs and courses, just give us a call or send us a message via email. We can help you become one of our licensed cosmetologists.